It's that time that we look forward to all week! Winner announcing time! Are you a winner?! Check and see! 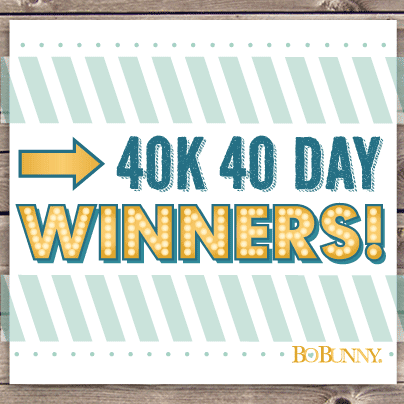 Thanks for playing along BoBunny fans!! Don't miss next week, we have a few tricks up our sleeve! You won't want to miss it! 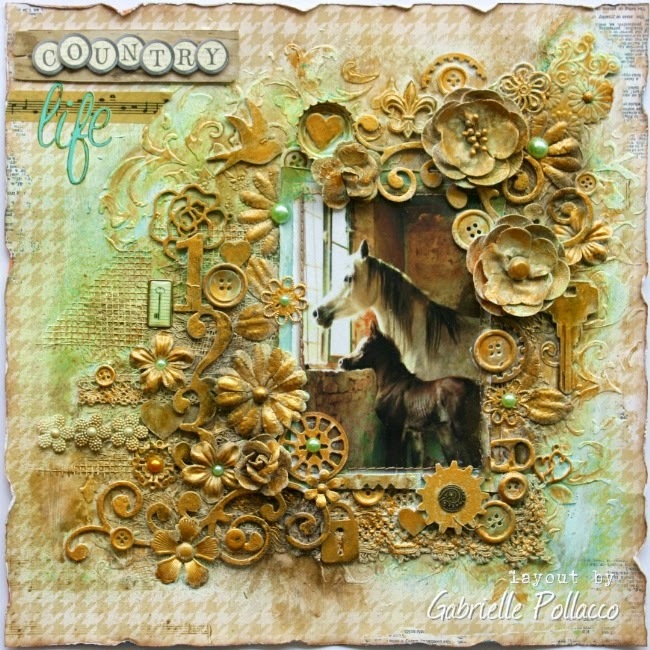 Gabrielle here with you today to share a mixed media style layout I made. 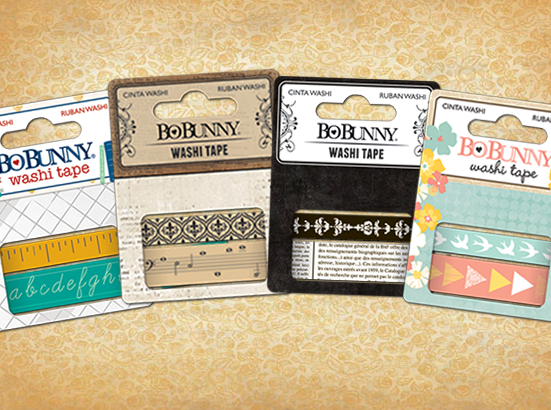 I've been on the Bo Bunny design team for many years now and have gotten to play with so many lovely papers and embellishments. So for this project I thought I would pull together lots fun fun Bo Bunny embellishments, flowers, wood accents, buttons, chipboard and trinkets that I've had leftover from a lot of the collections. I began by choosing a favorite patterned paper (for me), from the Happy Tails collection as a nice simple backdrop for my page design. 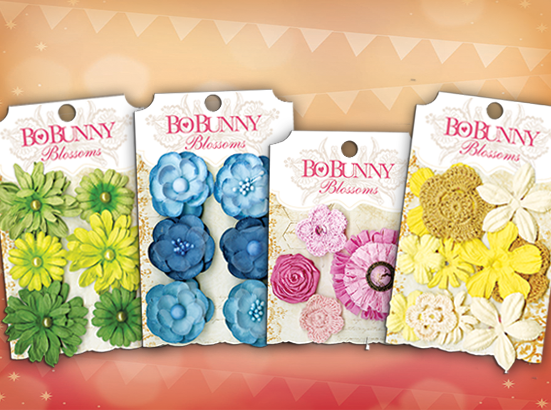 Then I started gathering together lots and lots of embellishments from a variety of Bo Bunny collections. DESIGNER TIP: The beauty of this project was that I could use bits and pieces from any collection irregardless of the color of the piece because I was covering them all with Gesso (to get an even and porous work surface) and then misting it all with some aqua and brown inks and then finally giving it all a coating of gold paint. See the two blooms with the green pearl centers? They were orange fabric blooms that Bo Bunny put out many many years ago. Here I was able to make them work by painting them to match my page. 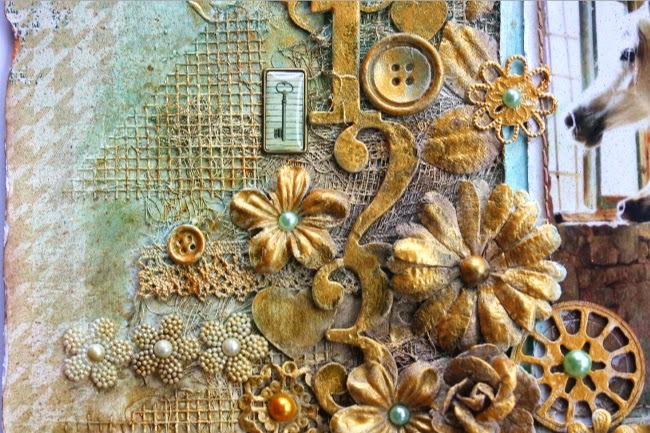 Here is another view of the many blooms, buttons, metal trinkets, wood accents....even lace that I used to create loads of the deep texture on the page design. I also layered in loads of chipboard, above you can see pieces from the Modern Miss collection (flourishes, large numbers etc.) and again, it didn't matter what colors they were as I was using a mixed media painting technique that blended them all together. Once the project was dry, I added a few jewelled accents and some brads that were in complementary colors. I hope you enjoyed my mixed media page and hope that I've inspired you to use up those odds and ends and create your own mixed media piece! 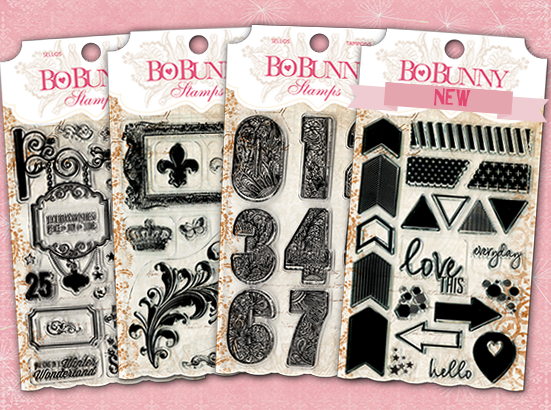 Patterned Paper: Happy Tails / Happy Tails; Miss Bold, Selfie / Modern Miss; Doors / The Avenues. Lisa here today, sharing a layout that is sure to ring in summer. The coral colors in the Pincushion papers reminded me of the beautiful hibiscus that grows at one of our homes. 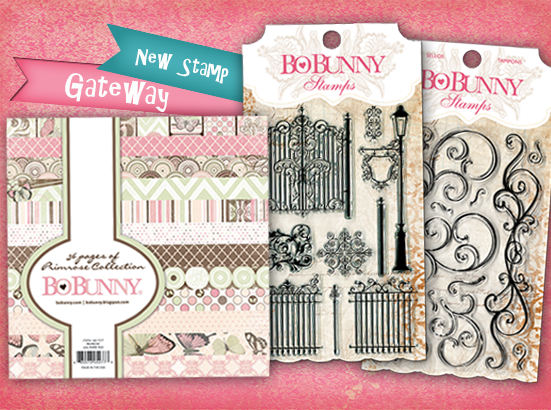 I love that BoBunny has the gorgeous Double dots collections that coordinate with the pattern paper collection papers. I love to create flowers with them! I even used a piece of the box my Design Team product came in. Upcycling can be beautiful!! I just primed the corrugated cardboard with white gesso and after it dried, sprayed it using my favorite mist sprays to match the papers. I was able to achieve more dimension by layering using pop dots in between the layers. I cut pieces of the Kraft Burlap trim to tuck under some of the layers here and there. It added beautiful texture to the layout. I learned this technique from my beautiful talented friend Gabrielle Pollacco. I also did a little machine sewing on the papers. Sometimes a small title is all a layout needs. I created some of the flowers with the papers I used in the layout. I mixed in some BoBunny blossoms for contrast. And the middles of the flowers were just pieces from the Kraft burlap trim that I just tucked in adhering with glue. The leaves were die cut and tucked under the flower clusters. Thank you for joining us today, and hope you are inspired to create your own projects using BoBunny product. Congrats to the winners.Beautiful pages, incrediable talent. Congrats to the winners! And love the layouts! Wow awesome layouts!! I love Lisa's work and layouts, and I adore Gabrielle's style!! BUT.... 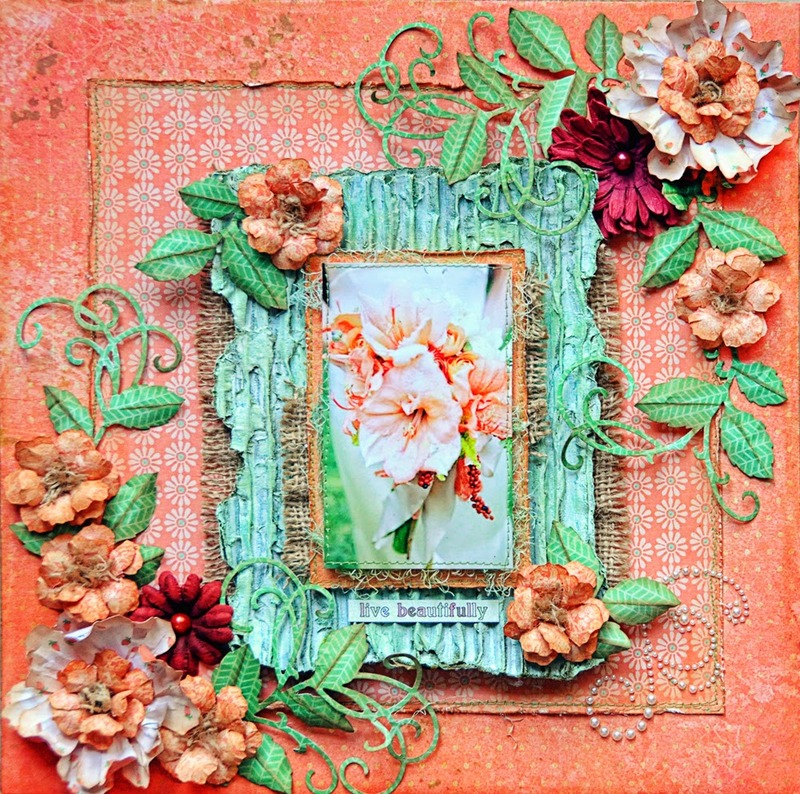 I am jumping up and down happy dance that I won the stamps and primrose 6x6 pad! Thank you so much!! !